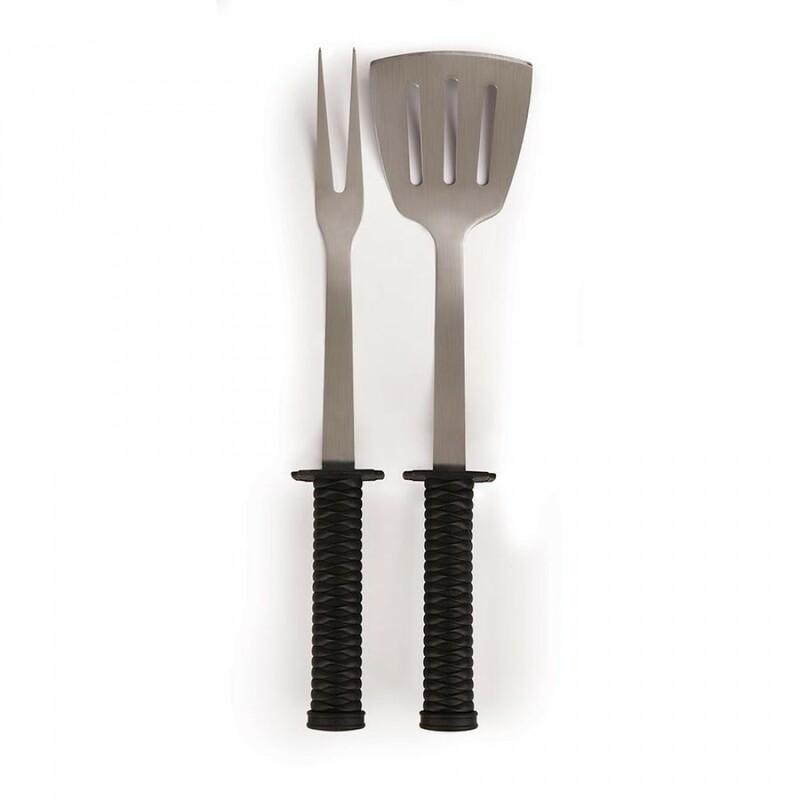 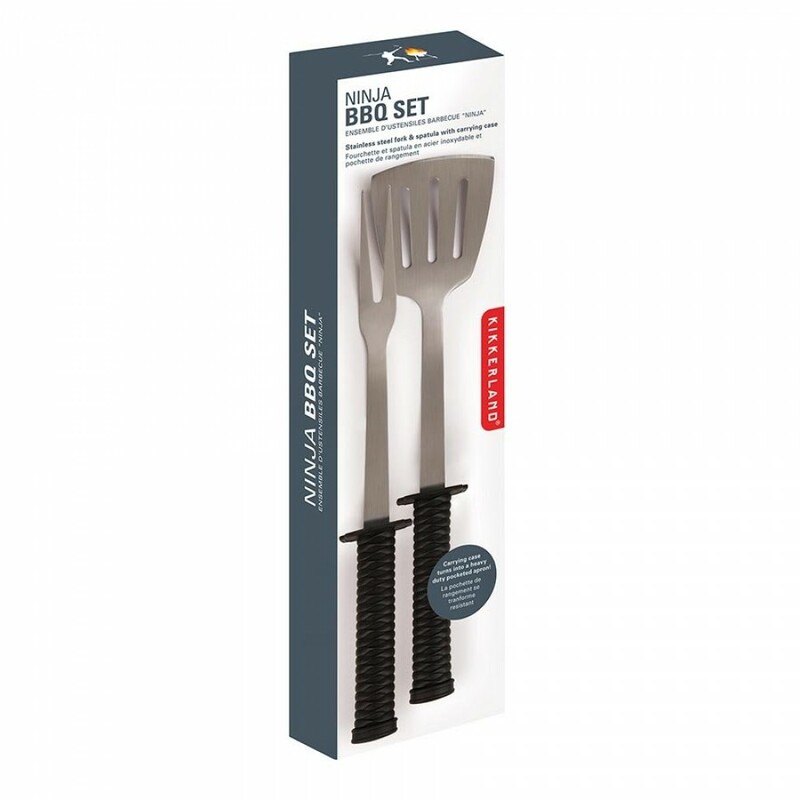 Get your BBQ-jitsu on with this fork and spatula set. Each tool is made fromdurable stainless steel and is 42 cm long. 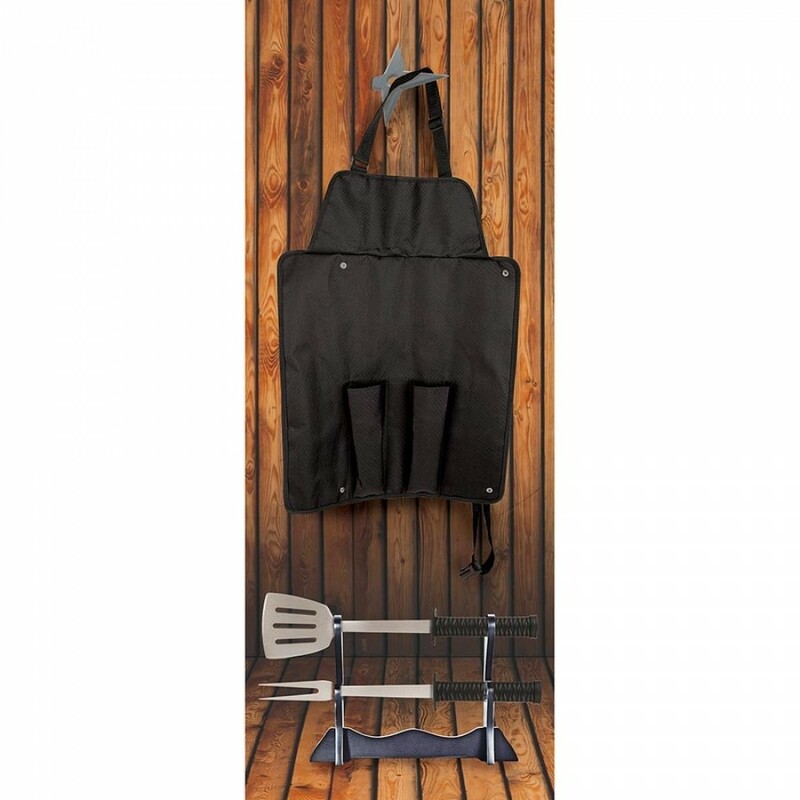 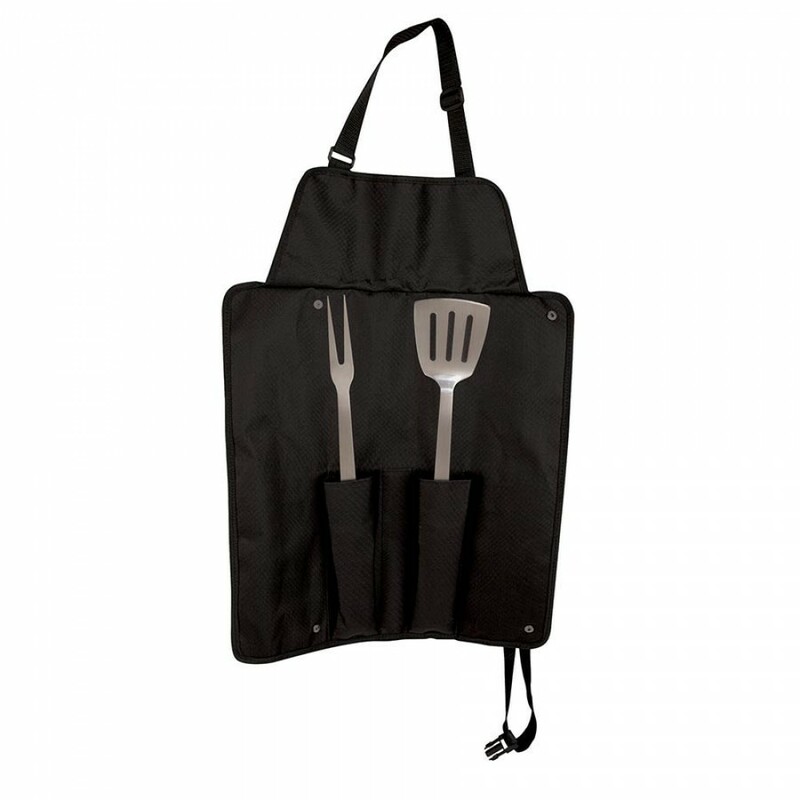 The carrying case unfolds into a heavy-duty pocketed apron to keep your tools handy so you’ll be ready for battle (and grilling) at a moment’s notice.